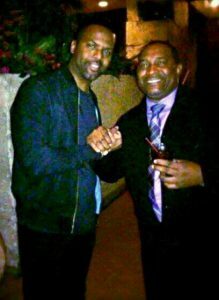 Fred Moss met AJ Calloway in Las Vegas, Nevada. AJ was delighted to see Fred’s work ethics by revolutionizing an Old Fashioned American Tradition. 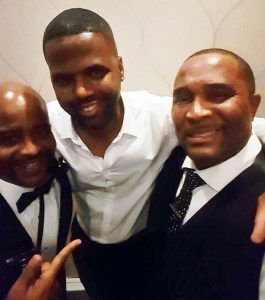 They became friends and AJ invited Fred to his 2nd Annual Weekend of Excellence at the Sheraton in Parsippany, New Jersey, on May, 2016. 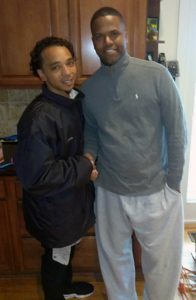 The following year, AJ returned to San Diego during the World Series Championship. 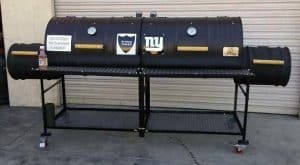 AJ ordered a custom Double Barrel Smoker Barbecue Grill after the game. 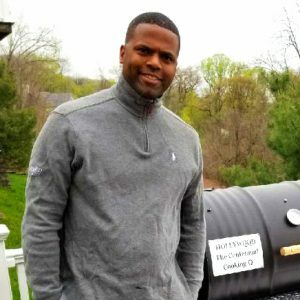 The grill was shipped cross country from San Diego to his home in New Jersey. 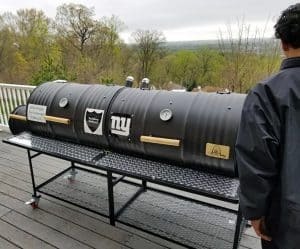 Fred and his son Joey met with AJ there and assembled the AJ Calloway grill. 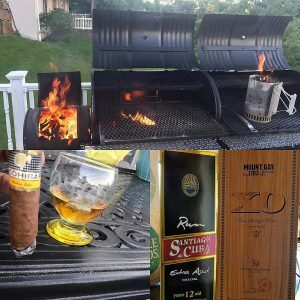 Here’s a few photos AJ sent of him using his new Double Barrel Smoker Barbecue Grill.